The presence of these microdrile annelid (i.e., segmented) worms has become a constant in my worm bins. In Mary Appelhof’s book she mentions these worms and recommends to “leave them alone”; however, their persistent presence – and the feeding swarm behavior they exhibit around foodstuff in the worm bins – warrants further study regarding their function in the worm bin. 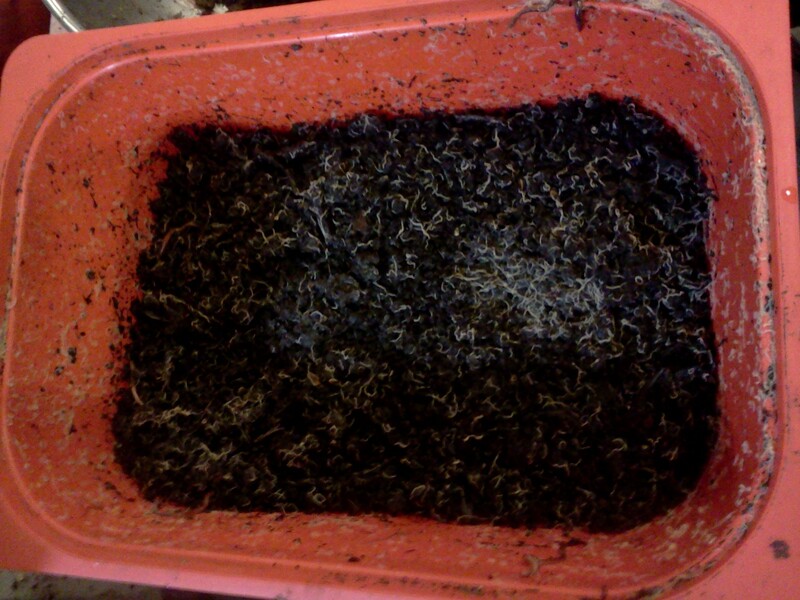 In my early days of composting, I misidentified these white worms as “baby” redworms. But young redworms, thin and pale though they may be, are still pinker in color than Enchytraeids. And though the role and function of Enchytraeids appear to be widely much misunderstood, there are several sources that refer to them as ecosystem engineers for their role in decomposition. Specifically, Enchytraeids are becoming more known for their ability to feed on decaying plant matter in agricultural soils as well as more acidic, less developed soils such as peat bogs and coniferous forests. Many sources point to Enchytraeids’ ability to co-exist, support, and distribute a wide range of beneficial microbes which underscores their importance in a well-rounded nutrient cycling process. Their burrowing helps to aerate bin bedding, which supports to growth of beneficial aerobic bacteria. 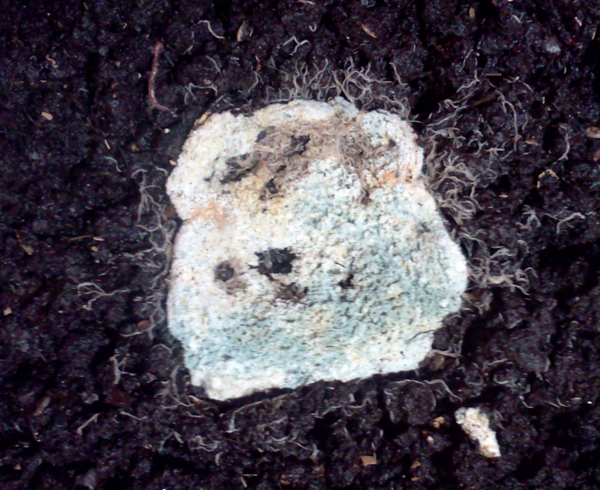 Their burrowing and ingesting of soil material and organic particles helps distribute fungal spores and bacteria needed to breakdown organic matter. Their castings provides food for beneficial bacteria, which they will ingest and excrete helping to cycle nutrients and microorganisms. When left alone for 30-45 days in a bin that contains a moderate amount of water, the final effect of their feeding is a black, crumbly compost that feels structurally similar to crumbly mineral clay soil. 2. van Vliet, P.C.J. 2000. Enchytraeids [chapter]. In Handbook of Soil Science [Malcolm Sumner, editor]. Accessed at Google Book Preview. 3. Jansch, S., Rombke, J., & Didden, W. October 2005. The use of enchytraeids in ecological soil classification and assessment concepts. Ecotoxicology and Environmental Safety, 62: 2. Enchytraeid worms feasting on a piece of moldy bread.